Rem Koolhaas to design Flagship arts building for the North. 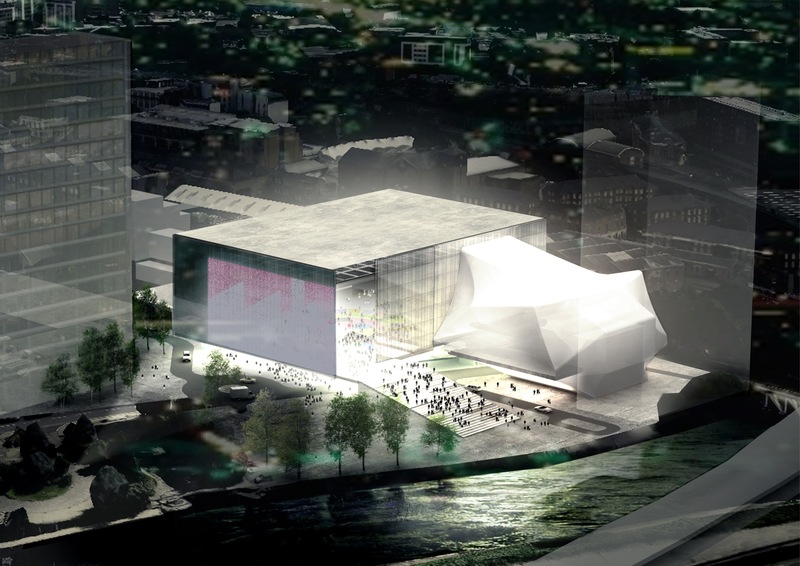 Rem Koolhaas’ Office for Metropolitan Architecture (OMA) has won the international competition to design The Factory Manchester, the city’s cutting-edge arts venue that will take a radically new approach to cultural production and performance. The project will be OMA’s first major public building in the UK. The government has agreed revenue funding for the project of £9m per annum from 2018/19 as part of its Spending Review. The Factory will be a new kind of large-scale venue that captures the extraordinary creative vision and depth of Manchester’s cultural life. It will be a flagship cultural centre for the North and North West, commissioning original works in partnership with leading national and international organisations. The Factory will build on the success of the Manchester International Festival and create innovative commissions all year round, playing a significant role in the next phase of economic and cultural evolution in the North. 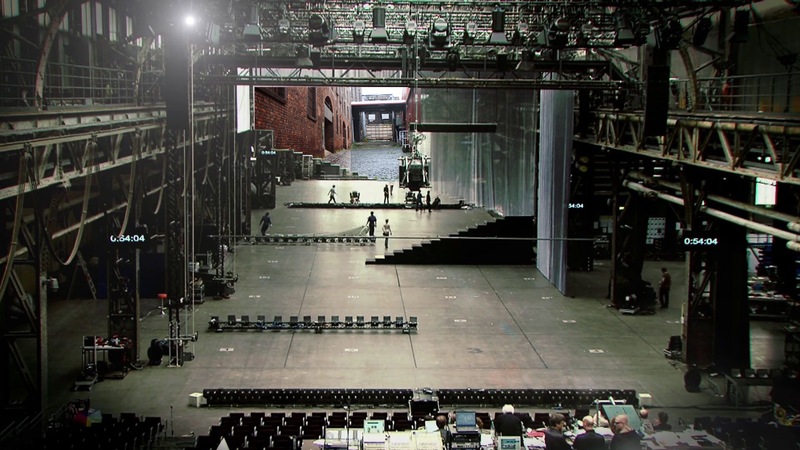 The Factory will make and present a wide range of art forms and culture, incorporating theatre, music, dance, technology, film, TV, media and live relays, scientific advancements and the connections between all of these – under one roof. It will be an inspiring space where art is created, not just hosted. The Factory will be large enough and flexible enough to allow more than one new work of significant scale to be shown and/or created at the same time, accommodating combined audiences of up to 7,000. Construction is due to begin in 2016 with completion in 2019. OMA’s projects include the recently completed Garage Museum of Contemporary Art in Moscow (2015) the Fondazione Prada in Milan (2015) and the CCTV headquarters in Beijing. In the UK their projects have included the headquarters for Rothschild Bank in the City of London (2011) and a Maggie’s cancer care centre in Glasgow (2011). 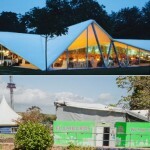 They also created the Serpentine Pavilion in 2006. Currently under development are the Taipei Performing Arts Centre, Qatar National Library, Qatar Foundation Headquarters, Musée National des Beaux-Arts du Québec, Prince Plaza in Shenzhen, and Faena Arts Center in Miami. Rem Koolhaas won the Pritzker Prize, the world most important prize for architecture, in 2000. OMA’s partners in charge of the project will be: Rem Koolhaas, Ellen van Loon and David Gianotten. 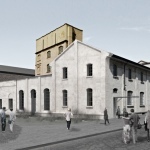 The Factory will form a part of the new St John’s neighbourhood, which is being developed by Allied London in partnership with Manchester City Council, on the site of the former Granada TV Studios. This 15-acre site will form a new neighbourhood for people to live, work, create and experience with residential, workspace, hotels, independent food and drink, extensive public realm and open green spaces. Investment in arts institutions has played a significant role in making Manchester the second most-visited city in England and The Factory is seen as a real cultural counterbalance to London that will develop, train and retain creative talent. Research has shown that there is a demonstrable need for such a new venue, which will serve a catchment area of almost 10m people within a 90-minute drive time. It is calculated that within a decade it will help create the equivalent of nearly 2,500 jobs adding nearly £140m to the local economy. The budget for The Factory Manchester is estimated to be up to £110m. The Government pledged £78m in last year’s Autumn Statement towards the project as part of its Northern Powerhouse initiative. Manchester City Council will develop the rest of the funding package, which will include third party support such as public subscription and donations, as part of the detailed business case. Capital receipts from planned land and property sales will generate the council’s contribution to capital funding. The Factory and the wider St John’s regeneration scheme is a joint venture between Allied London and Manchester City Council. This entry was posted in NEWS and tagged Office for Metropolitan Architecture, Rem Koolhaas, The Factory Manchester. Bookmark the permalink.